While more Mini JCW GP Editions have been sourced, nearly all are already sold. 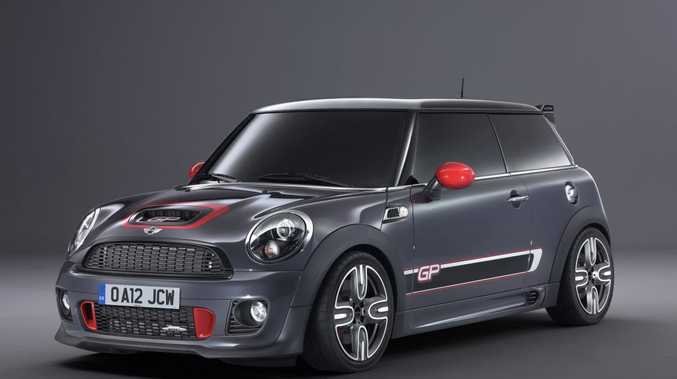 AN additional 25 units of Mini's JCW GP Edition are on their way to our shores. This takes the total allocation for Australia to 55 vehicles, but Mini says the vast majority of which are already sold. They have a retail price of $56,900. Mini Australia general manager, Kai Bruesewitz said high performance Mini enthusiasts will need to act fast if they are to snap up one of the last limited edition models. "Almost every JCW GP Edition already has a customer name against it and judging by the success of previous limited edition MINI models, the remainder won't be gathering dust," Mr Bruesewitz said. "With a total worldwide production of just 2000 units, the Mini JCW GP Edition looks set to become an instant collector's item and Australia punches well above its weight in securing a substantial chunk of that production," he said. Having lapped the iconic Nurburgring in 8:23 minutes, the JCW GP is the fastest production MiniI ever built. The light-weight hatch features a 160kW race-tuned engine and traction control system with a specific "GP" mode, as well as a bespoke racing suspension and braking system. The 1.6-litre, four-cylinder engine derives its technology directly from the world of motor sport. Highlights include reinforced cylinder head and pistons, sodium filled exhaust valves and lightweight crankshaft which help the excellent revving capability, while twin-scroll turbo charging, direct petrol injection and fully variable valve control optimises engine responsiveness and efficiency. A unique aerodynamics package, including underbody panelling to reduce drag, and a carbon rear wing improving down force over the rear axle, also gives the GP edition an unmistakable road-presence. The driver and co-driver are treated to heated leather Recaro seats with red stitching and a special knee roll for bracing against during spirited driving. The singularity of purpose of the Mini JCW GP is reflected in the fact that there is just one specification of this limited edition model which cannot be modified or added to, which includes the exclusive Thunder Grey metallic paintwork. In Australia, JCW models account for a greater proportion of total MINI sales than in almost any other market in the world. "Almost every car has been sold before even reaching these shores, reinforcing our reputation as high-performance Mini fanatics," Mr Bruesewitz said. 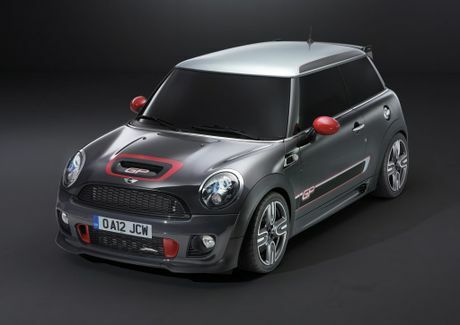 The Mini JCW GP Edition.